SALUMIFICIO MARCHISIO Quality Control guarantees that every production step is carried on following the higher standards for food safety. A plan for hygienic and sanitary self-control (HACCP) has been arranged, so that every processes are continually monitored to offer the best quality to final consumers. The analysis methods and control procedures are entrusted to a supervisor of Salumificio Marchisio choosing and to an external company authorized by the Health Minister. The external company periodically takes samples for lab analysis on the various work counters, machinery, rooms surfaces and most importantly on the final product, to certify that all manufacturing operations are carried on following official laws and regulations. 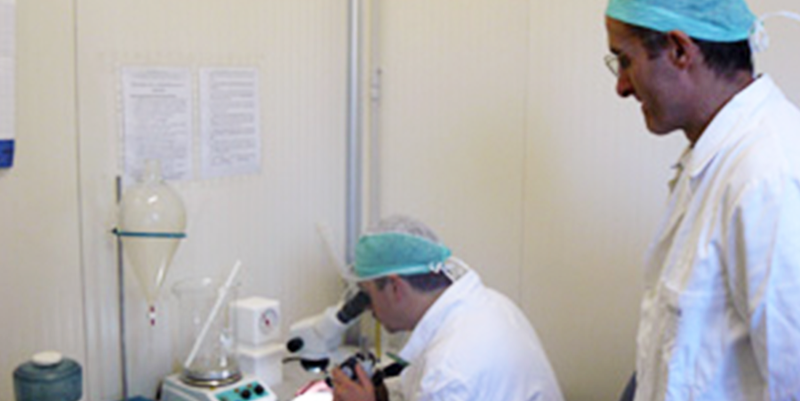 SALUMIFICIO MARCHISIO has also activated an internal laboratory to make control analysis on every butchered pigs batch. Marchisio Traceability System guarantees with full transparency the animal origin on a specific certificate that accompanies each cut of fresh meat: on this certificate you can find the place of birth, the farm in which the pigs have been bred and the slaughterhouse that processed the meat. A lot number follows every piece of cured meat to identify the meat batch and manufacturing process.